STROMBOLI® is CISSOID’s technology allowing to build High Temperature, High Efficiency Isolated DC-DC Converters on the basis of CISSOID’s chipset MAGMA & HYPERION and CISSOID's Power FETs from the PLANET Family. If you need support for your high temperature power supply design, just contact Cissoid. A product brief for STROMBOLI is available for download (see above). Request STROMBOLI 15V-40V application note. Request STROMBOLI 150V-350V application note. STROMBOLI™ technology is available from CISSOID for licensing. The license kit includes the reference design, its schematic and bill-of-material, a demonstration board, datasheet and application note, as well as the technical support for implementation. 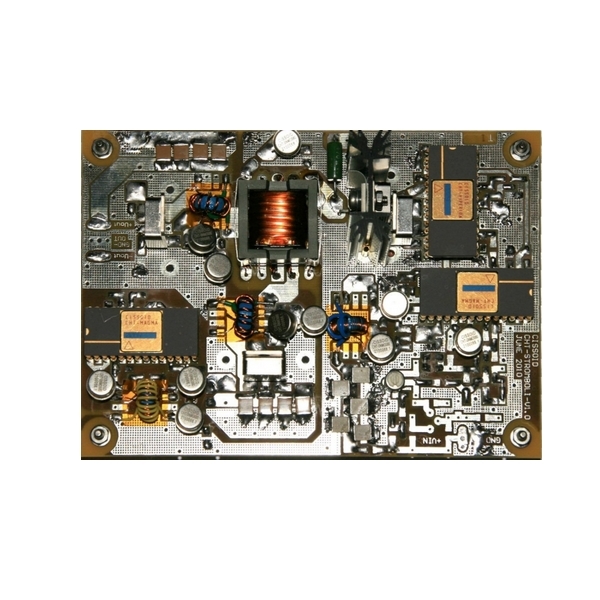 The demonstration board included in the License kit is configured with voltage input range of of either 15V-40V or 150-350V and the voltage output is set to a symmetrical +/-12V. It can deliver up to 25W.